Chima’s Towing has been Northern California’s recovery specialist for more than two decades. We maintain a full-sized fleet of wreckers equipped with the most up-to-date technology available. 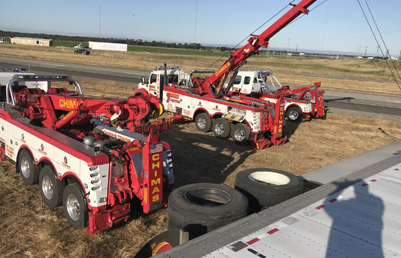 Furthermore, Chima’s Towing has six heavy-duty units and a state-of-the-art 40-ton Rotator, all specifically dedicated to heavy-duty recovery. Our full-time staff of 20 employees has more than 200 years of combined heavy-duty experience and many are WreckMaster certified. The Chima’s Towing crew also participates in ongoing safety training from the California Tow Truck Association (CTTA) and the Towing and Recovery Association of America (TRAA) to stay current on the latest recovery equipment and techniques. 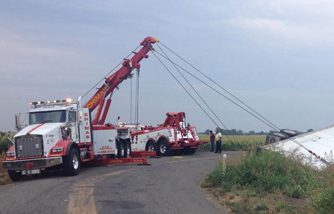 From tractor-trailer rollovers on the highway to the most complicated underwater recovery, the experienced staff at Chima’s Towing has the equipment and the ability to handle the most complex recovery jobs.